Isis eviscerated a couch, and Leo devoured the interior of my car, but in the last year, Mia has managed to do more damage than the two of them put together with her incessant door shredding. I don’t care. I’m not even mad. That’s how much I love my Meezy B. We brought her home three years ago, a decision that ranks up there with the best we’ve made, no matter how many times we have to replace the door frames. Today is the day we observe Mia’s birthday. We think she’s ten. Happy 10th Birthday, Magical Mia Bear! Happy “happy day” and birthday too! Have a wonderful day! Great photos! Happy Birthday to Mia on this WW. I totally agree. Things are just things, but a furry family member is much more important. I think anyone who would value an object over a dog does not deserve the company of a dog. Happy Birthday Mia. What a great photo tribute. Happy Birthday, Mia! … You are beautiful. 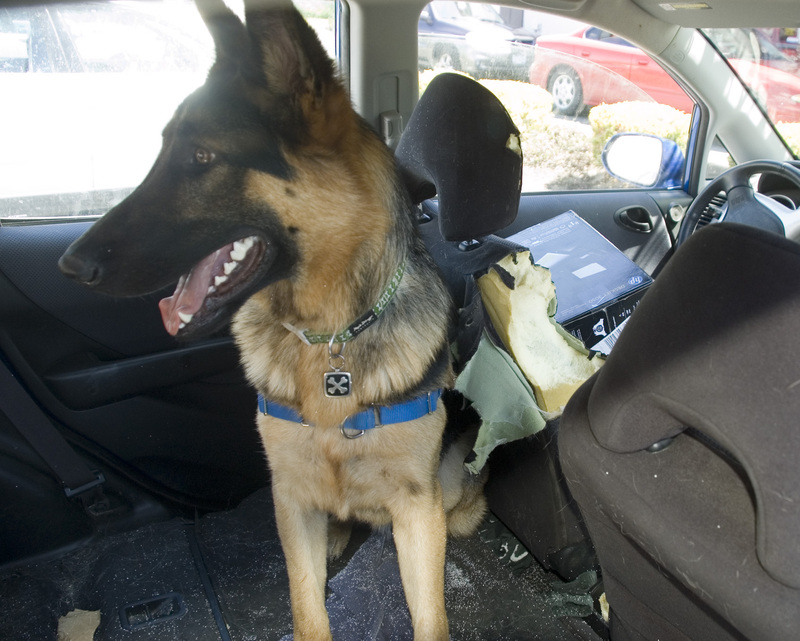 Our GSD, Barlow was beautiful and destructive too. You can never be mad at em can ya? Happy Birthday!!!!! Arooooooo! Enjoy your special day! Oh, how great that you found each other! Happy Birthday, Mia! Happy Birthday, pretty Mia, and may you celebrate many more! Happy Belated Birthday, Mia! We’ve lived through destruction too….you kind of just accept it as going with the territory….it’s always worth it.